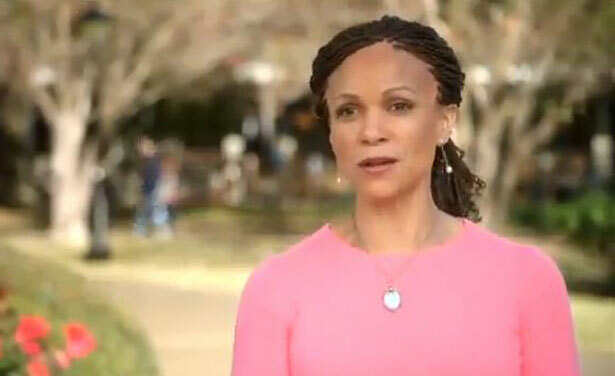 MSNBC host and Tulane University professor, Melissa Harris-Perry, wrote an op-ed to explain her 'Lean Forward' advertisement that left many on the right frothing at the mouth. Most people understood the 'It Takes a Village' message she was conveying, but I guess she had to break it down for the likes of the Sarah Palin's, Rush Limbaugh's, and Glenn Beck's of the world. My inbox began filling with hateful, personal attacks on Monday, apparently as a result of conservative reactions to a recent “Lean Forward” advertisement now airing on MSNBC, which you can view above. What I thought was an uncontroversial comment on my desire for Americans to see children as everyone’s responsibility has created a bit of a tempest in the right’s teapot. Allow me to double down. One thing is for sure: I have no intention of apologizing for saying that our children, all of our children, are part of more than our households, they are part of our communities and deserve to have the care, attention, resources, respect and opportunities of those communities. When the flood of vitriolic responses to the ad began, my first reaction was relief. I had spent the entire day grading papers and was relieved that since these children were not my responsibility, I could simply mail the students’ papers to their moms and dads to grade! But of course, that is a ridiculous notion. As a teacher, I have unique responsibilities to the students in my classroom at Tulane University, and I embrace those responsibilities. It is why I love my job. Then I started asking myself where did I learn this lesson about our collective responsibility to children. So many answers quickly became evident. I learned it from my mother who, long after her own kids were teens, volunteered on the non profit boards of day care centers that served under-resourced children. I learned it from my father who, despite a demanding career and a large family of his own, always coached boys’ basketball teams in our town. I learned it from my third-grade public school teacher, who gave me creative extra work and opened up her classroom to me after school so that I wouldn’t get bored and get in trouble. I learned it from the men who volunteered as crossing guards in my neighborhood even if they don’t have kids in the schools. I learned it from the conservative, Republican moms at my daughter’s elementary school, who gave her a ride home every day while I was recovering from surgery. I learned it watching the parents of Newtown and Chicago as they call for gun control legislation to protect all the children of our communities. I learn it from my elderly neighbors who never complain about paying property taxes that support our schools, even if they have no children in the schools today. And I have learned it from other, more surprising sources as well. I find very little common ground with former President George W. Bush, but I certainly agree that no child should be left behind. And while I disagree with the policies he implemented under that banner, I wholeheartedly support his belief that we have a collective national interest in all children doing well. I’ll even admit that despite being an unwavering advocate for women’s reproductive rights, I have learned this lesson from some of my most sincere, ethically motivated, pro-life colleagues. Those people who truly believe that the potential life inherent in a fetus is equivalent to the actualized life of an infant have argued that the community has a distinct interest in children no matter what the mother’s and father’s interests or needs. So while we come down on different sides of the choice issue, we agree that kids are not the property of their parents. Their lives matter to all of us. And I want them to grow up an be tax paying citizens.